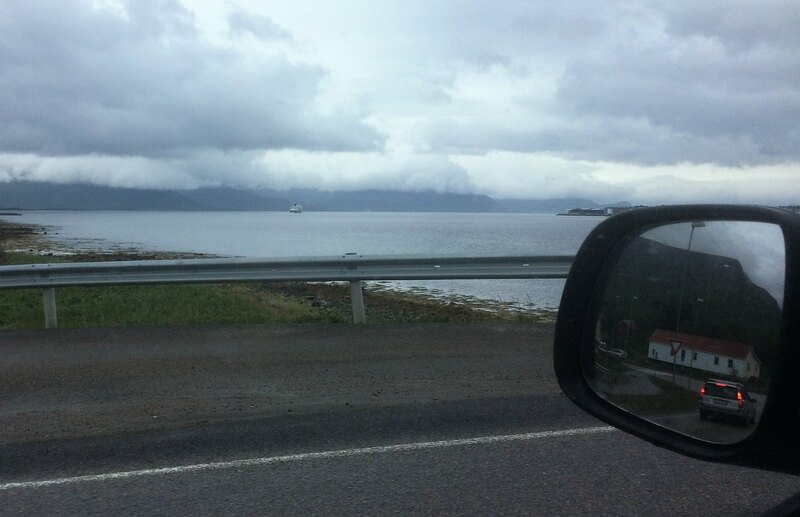 Once again we drove over to Sortland, to get fuel and do some shopping. They had the cheapest petrol station of the area. Sometimes it is an advantage to go somewhere twice. In the distance you can see the southbound MS Trollfjord. We will meet her later. 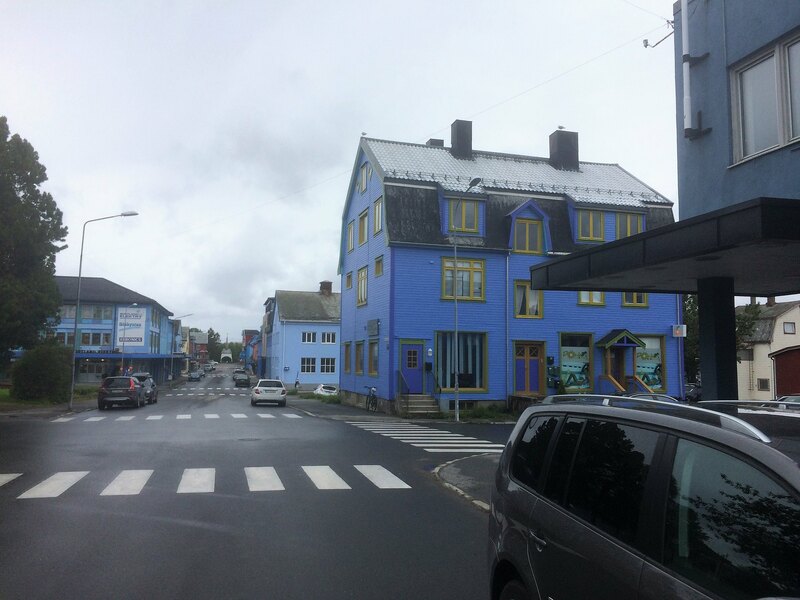 Our travel guide described Sortland as the blue city. Something which i had not noticed before. Well especially on a rainy day perhaps not the most suitable colour?! 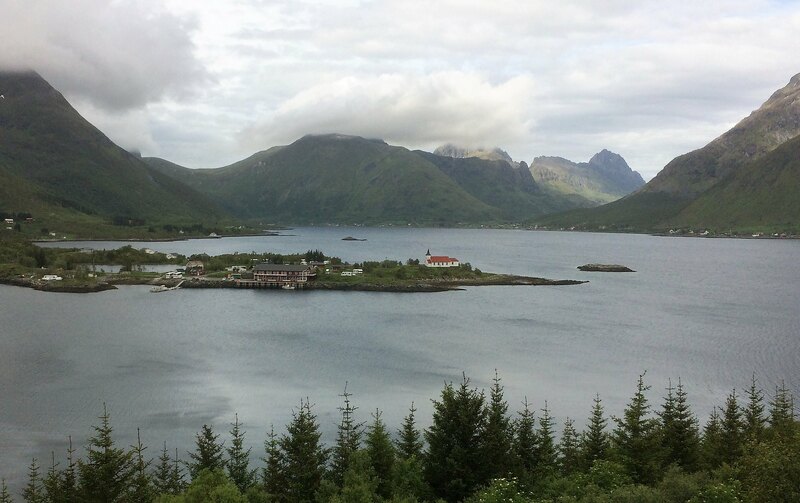 After leaving Sortland we made a detour in the Raftsund, before reaching the Lofoten Islands. 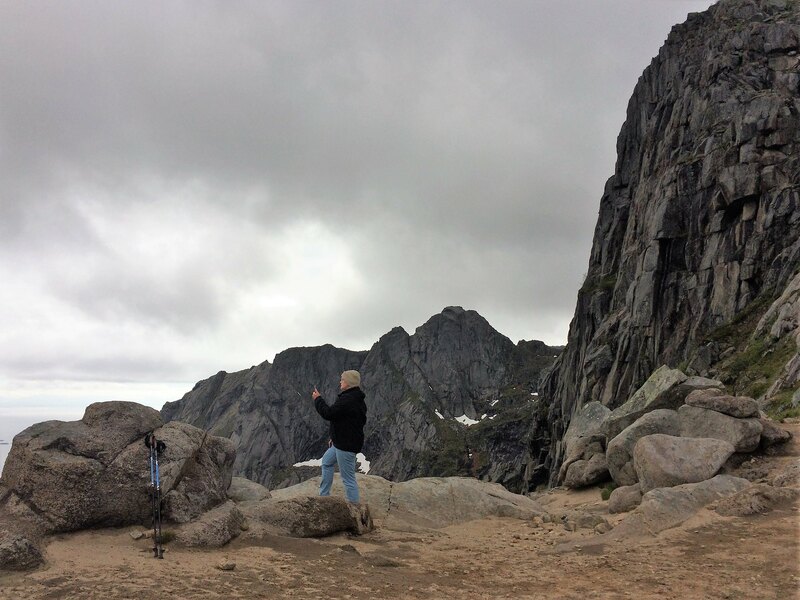 I wanted to check out the best spotter places for a later visit, when MS Lofoten would pass here. The test object was MS Trollfjord. 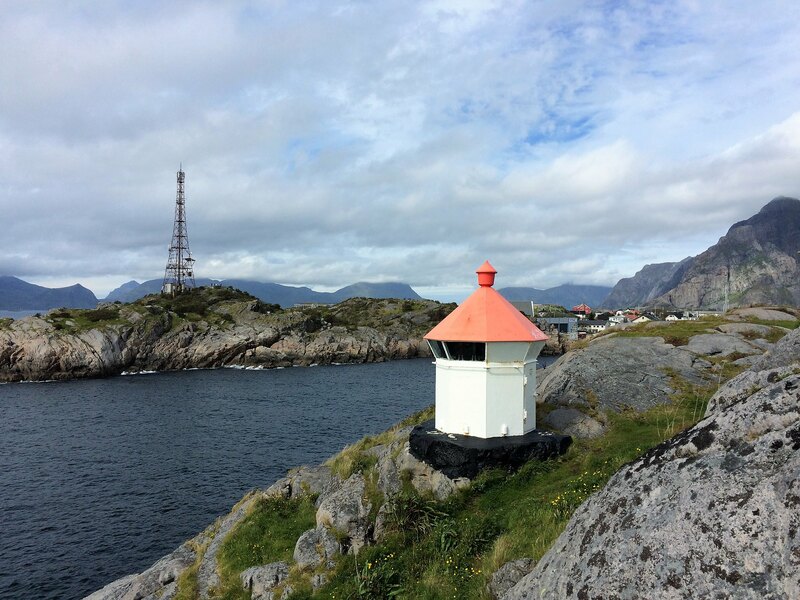 Then finally we reached the Lofoten Islands. 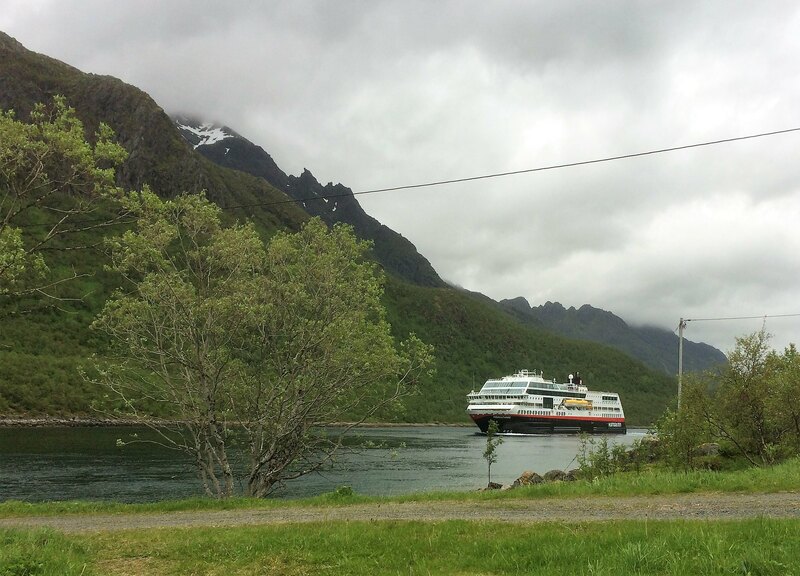 Our first overnight stay was near Kabelvag. Last edited by Ralf__; November 26th, 2018, 17:20. Ralf - Stokmarknes - I was cold, and was excited about the next bit of the trip, so I wasn't really concentrating on the shoreline. But you must have been somewhere behind something on one of these! The next detour lead to Mefjordvaer, here they have huge possibilities in tourism, hotel, fishing, boating and many more. Apparently before season, nearly all was closed. During my own visit about 8-10 years ago(?) we arrived at Mefjordvær late in the evening.... I guess about 8-9 in the evening. We stayed in a room at the second floor of the large, white building in the middle of the picture. Fun to see it again.... I can't remember the exact name of the place. 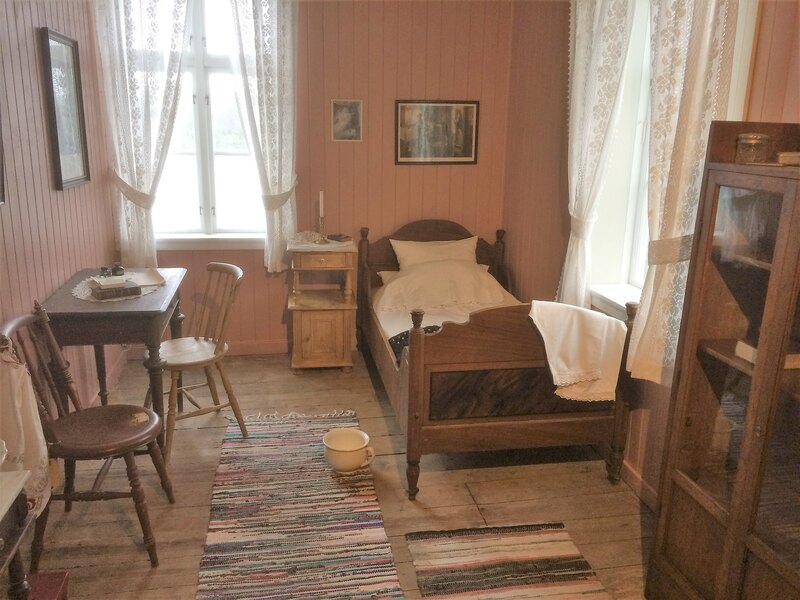 I also seem to remember it was a simple room, with toilet / shower facilities down the hall. For the rest of the sights, the long wooden walk way by the sea, and that viewpoint... those were stops on my journey as well. Familiar sights so to say. When it comes to Senjatrollet, it seems like the place has developed further and improved significanlty since my visit in 2010. I seem to recall a lot of rain during my visit, and absolutely nobody else around. The cruise ship in post number 25 is, in my eyes, most probably the Prinsendam (former Royal Viking Sun). Stetind was also the ferry during my visit there.... 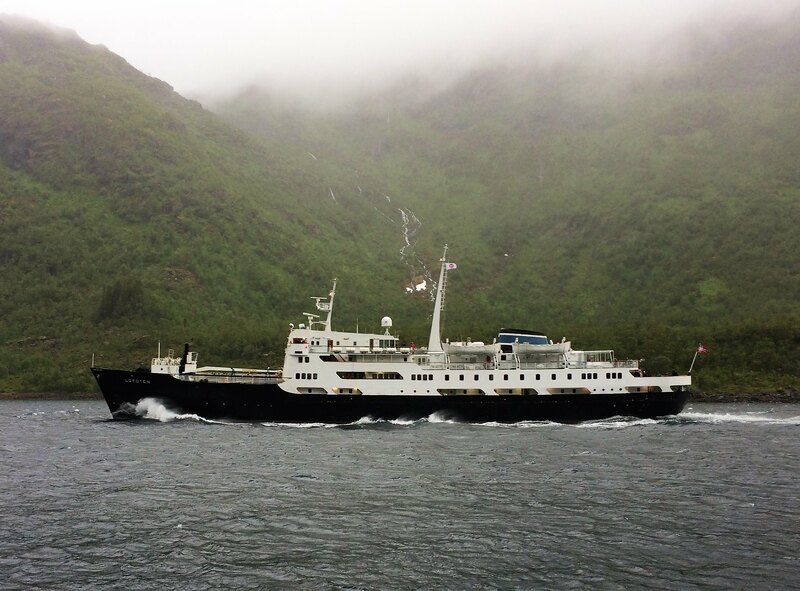 I sailed her over to Andenes. I must also say, that the mirrored restroom is an architectural delight: genius, and stunning! PS: Glad you got to fix the glasses despite limited opticians shops. Such an amazing summer trip: so glad you got so much out of it, despite the rainy days. But, after all, that is Norway: rain and sunshine comes and goes. It's about making the best out of each opportunity. 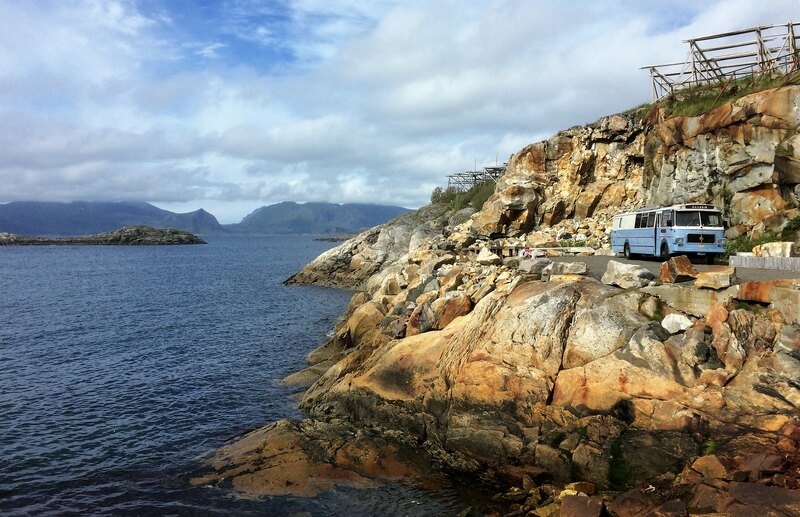 That camping site at Lofoten, near Kabelvåg, is so perfect! Picture perfect. I love this report Ralf! 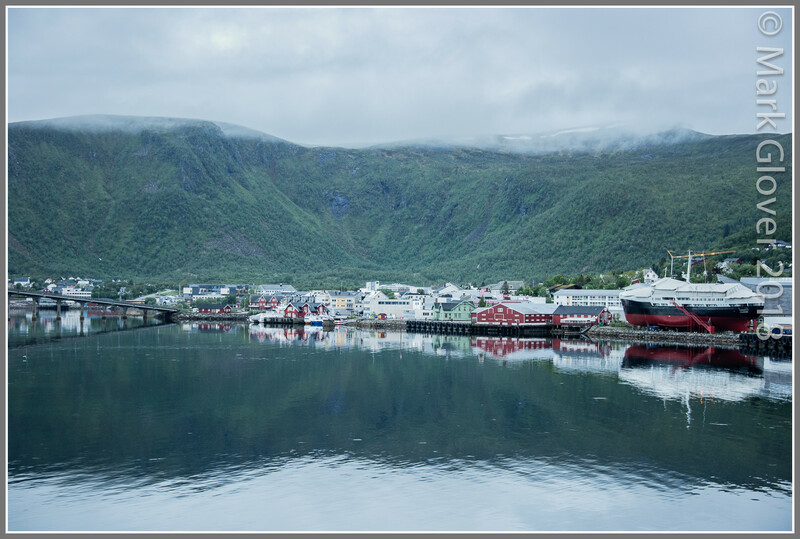 So great seeing all the images from the trip we spoke about during our meeting at Trondheim. It makes me so happy to see these images and to the fact that you had a great summer experience in Norway. I'm really enjoying to read your trip report from the north, perfect during this grey November period of the year. I've never seen Finnmarken and the Hurtigrute-Museum from this angle I think... surprised at the height of the mountains in the background. In my mind, the landscape here was completely flat (more or less flat). My memory was faulty! I agree (again). The timing of this summer's trip report is perfect. It's really nice to sit down and look back at the memories of summer, especially at this time of the year! 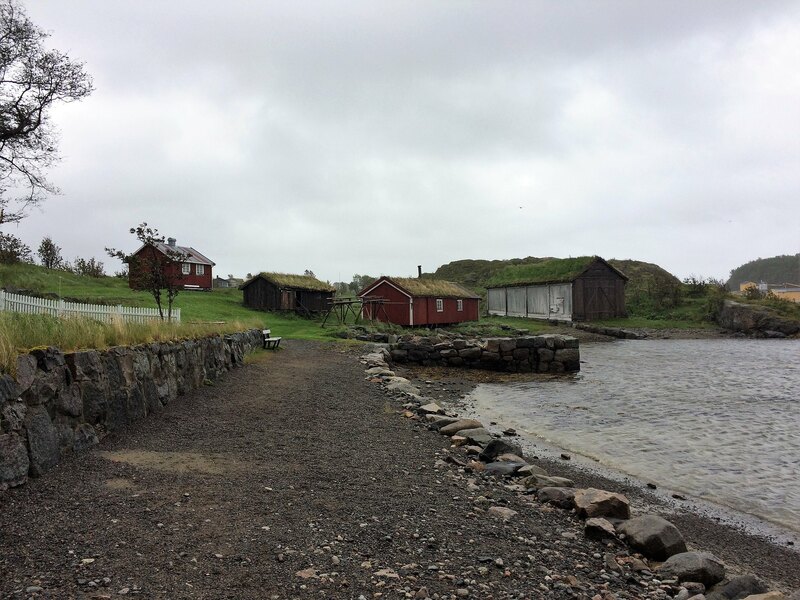 It's sad to see old Finnmarken on shore like that. She deserve a lighted and warmed up glass house so that they can remove that terrible looking cover they have pun on her now. Thank you all for the nice comments. I have to visit a fair this week and so there will be a short break until i am able to continue. 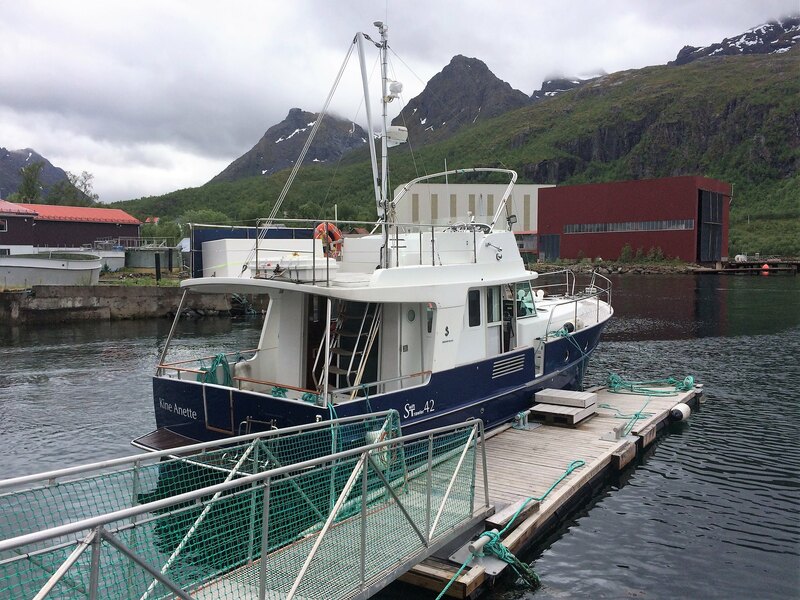 Mark, our pitch was a few meters left of your second picture, which shows also the restaurant vessel. 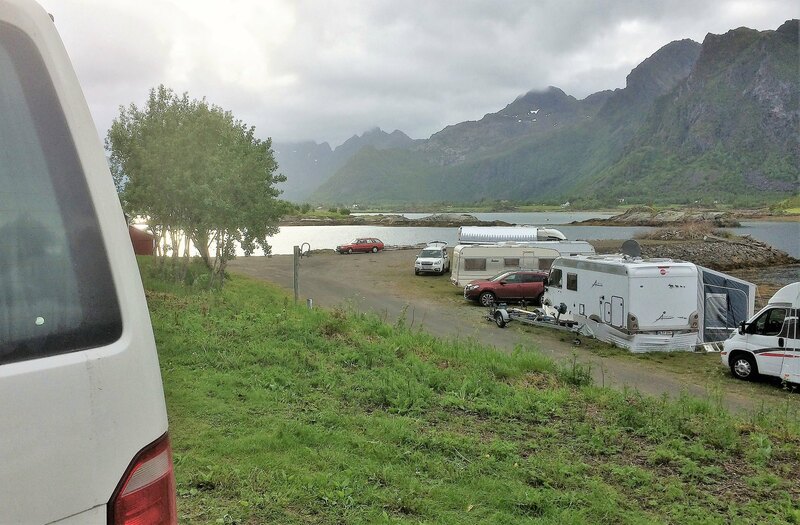 There is the campsite of Vesteralen Kysthotell. 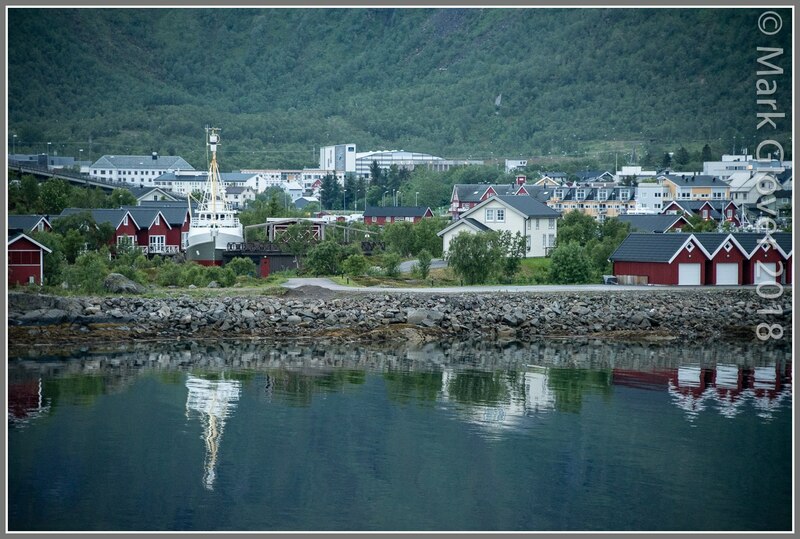 Jan-Olav, the place on Senja is today Mefjord Brygge AS. 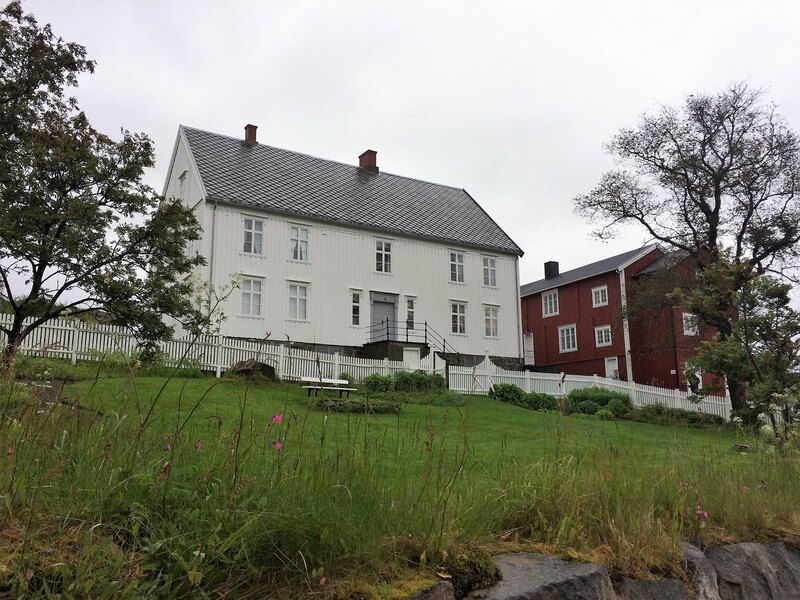 The campsite at Kabelvag is Ørsvågvær. The facilities need barely a refurbishment and were the worsest we had during the trip. Directly in the neighbourhood is Sandvika Camping, which looked in better shape. But we arrived late and were happy to have a pitch. Oh yes, and that was Prinsendam on that picture. She was on her way from Trondheim to Honningsvag that night. Due to the weather forecast it was the best for today to stay at the South-Eastern shore. Since it was predicted to be dry for some hours, we decided to have a walk. 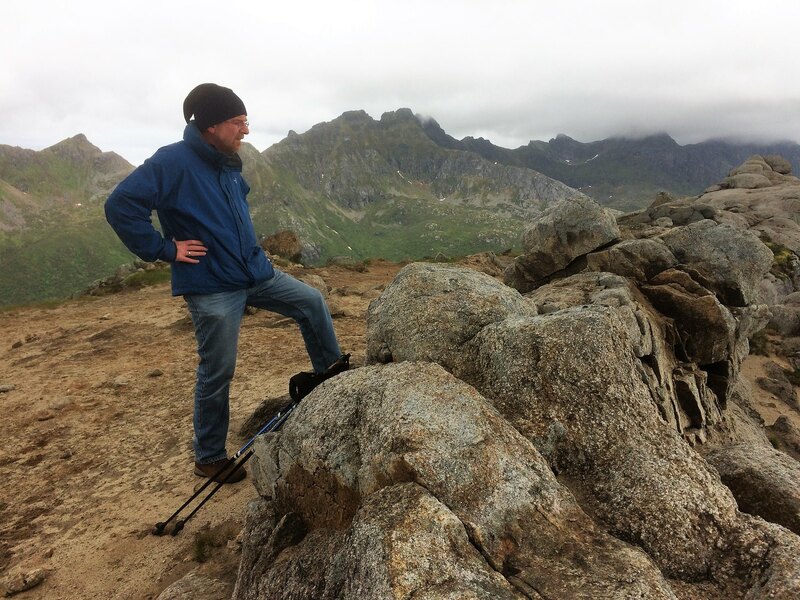 Our tourguide book showed a nice walk up to Glomtinden with a stunning view over to Kabelvag and the Vestfjord. 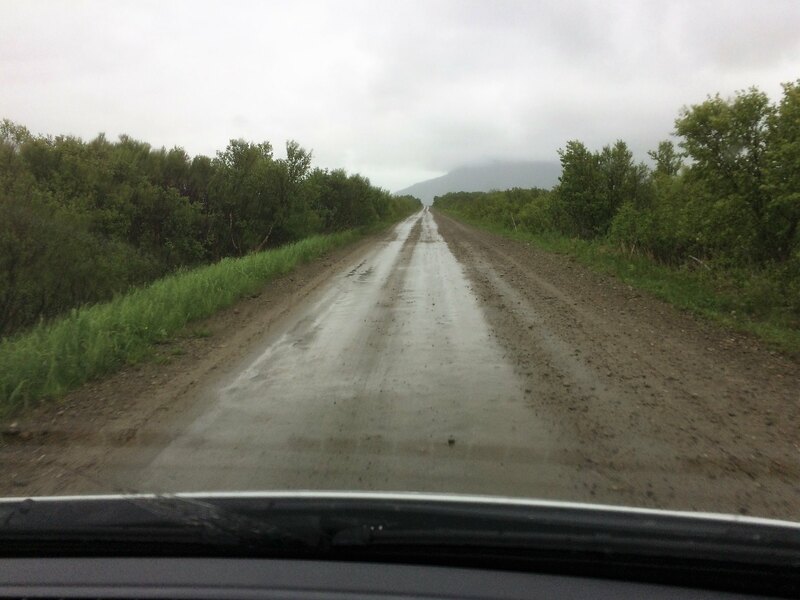 The route is leading along the old road which was used before the tunnel shortened the way. Then a steep footpath is leading further. The big hole you can see, is a result of the tunnel. The mountain was sliding down in that part. Here you have the view back. We startet at the shore of the lake where the old and new road meet. And this is the view over to the Vestfjord. On a clear day an overwhelming panorama. But even now very impressing! Of course photos had to be taken. It was cold and windy, but we kept dry. In the afternoon, Henningsvaer turned out to catch a sunny hole in the sky and so we had a nice walk through this beautiful archipel and even an icecream. It is marvellous, how the colours brighten up, as soon as the sun in coming. 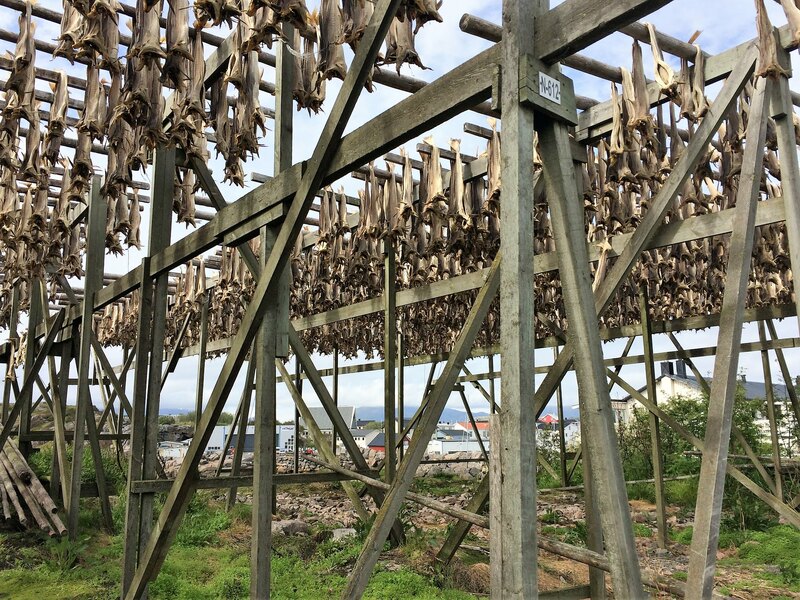 The fishermen were just harvesting their stockfish, but some racks were still filled. For the next day we moved back again in direction to the Vesteralen, we had a special program for the next day. Our campsite for this night was Sildpollnes Sjöcamp, a marvellous place with a cool owner. Today we combined two things we wanted to do and that lead us back on the Vesteralen. 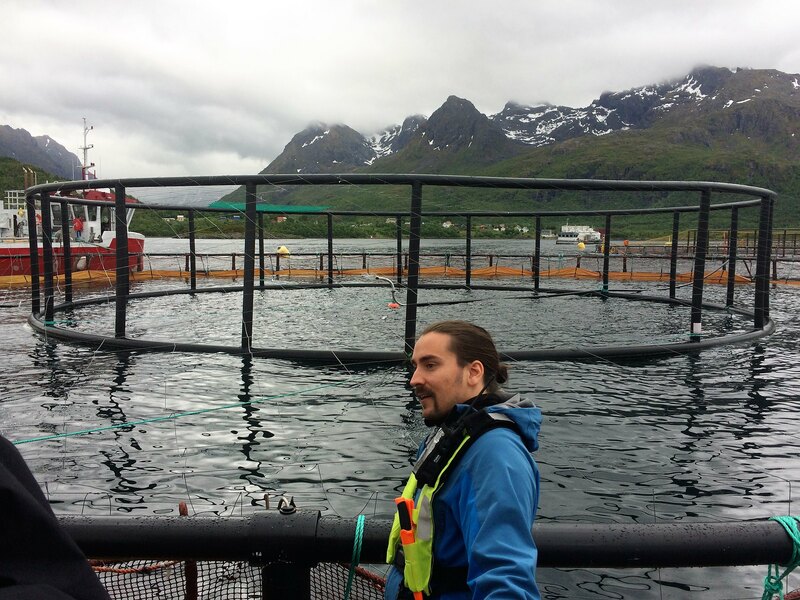 In Blokken they offer excursions on a salmon farm and we were very interested to experience salmon farming and learn more about it. So soon after arrival we were invited on this boat to sail out to the salmons. 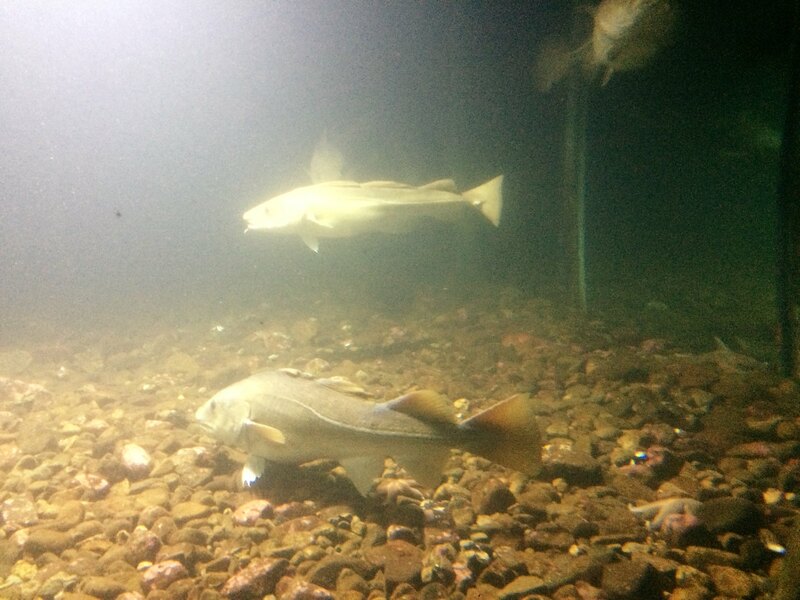 The guide was very competent and explained us in detail all new developments in salmon farming. I must say that "actual" reports we see and read in Germany about this topic, are at least two or three years old and that the development is very fast in this industry. Nearly all mostly environmental questions and critics of the Germans have been solved or answered. Really impressing, how accurately this business is driven. My personal believe is that this, and the next evolution step offshore is the only possibility of feeding a growing population with fish. The classic fishing can't cover the needs, the sea is nearly emptied. This industry will grow immense, and a lot of workers will be needed in the future for such facilities. 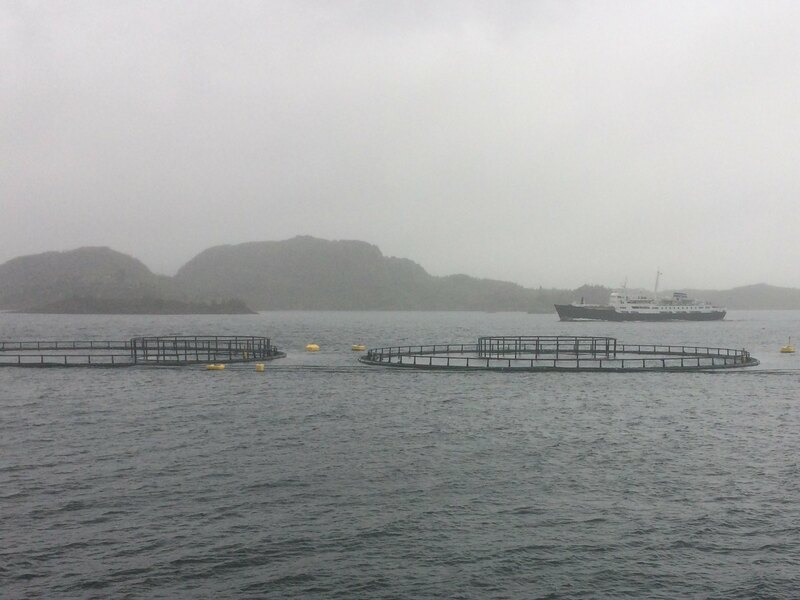 Salmon farming is quite intense in Tasmania - despite the cold....well, an Aussie's version of cold. 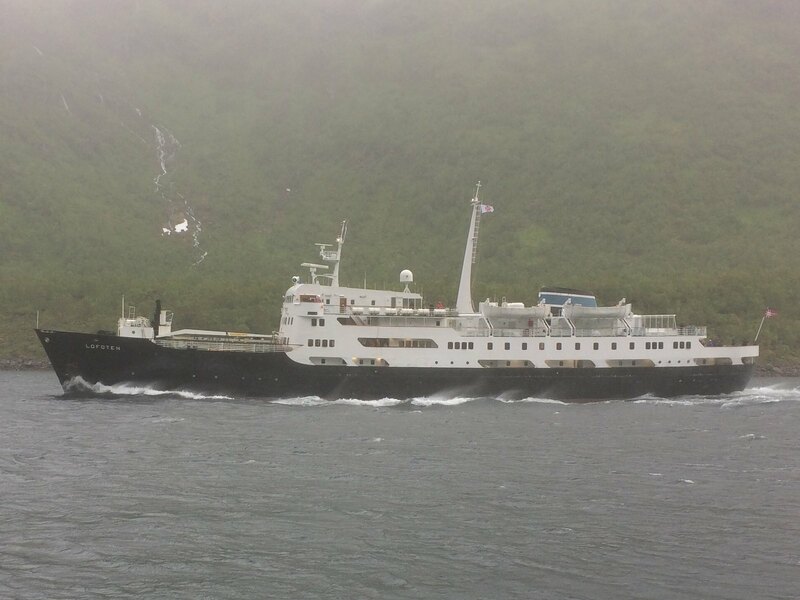 Then we planned to do the second experience for this day: stalking the MS Lofoten on her Southbound crossing of Raftsundet. 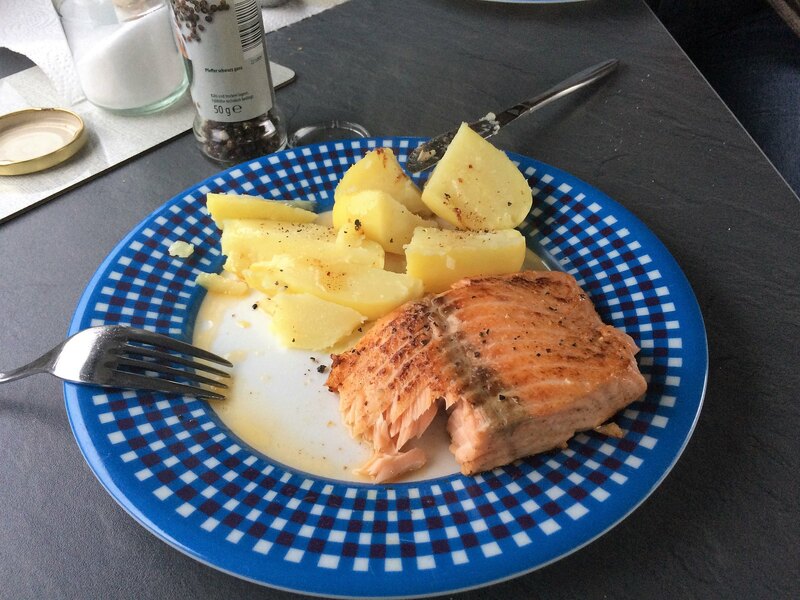 We needed, beside the salmon, more food and so it was a short way from Blokken over in direction to Sortland, where a huge supermarket is situated face to face to Sortland harbour. 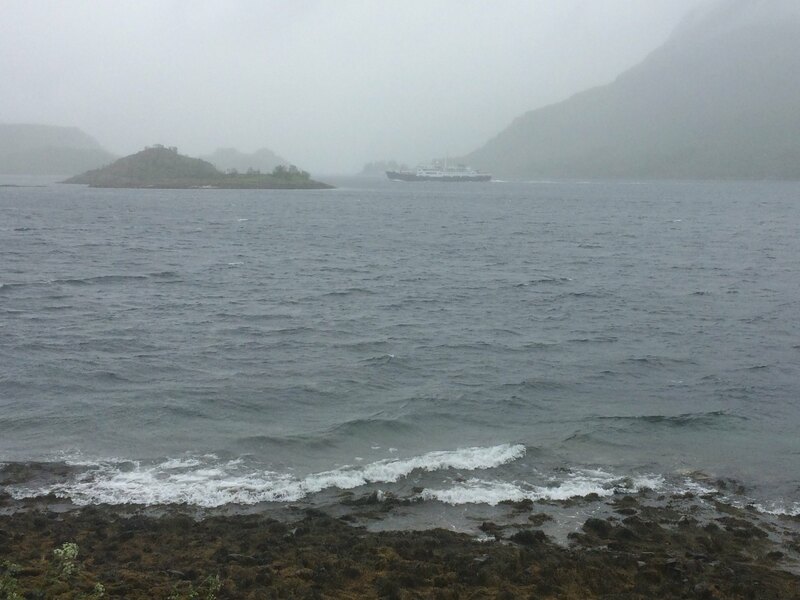 And so we arrived right in time to see MS Lofoten leaving Sortland. Of course this is a too big challenge for an i-phone camera. But her horn was a nice sound! So we made our shopping, had lunch and three hours later we awaited her in the Raftsund. Each half hour we thought the sight could not get more worse, but it did! So here is the best what we could get. But the experience is really great. You stop at a good spotter place, take your pictures, as she is sailing past, Jump into the car, rush to overtake here before the next spotter place and the same game is starting over again. A long the Raftsund you can do this four or five times within maybe one hour. At this place we waved to the captain and he was greeting back with his horn. The road to Digermulen is about 30 kilometers long and you have always the best sight on the ships. Big fun. 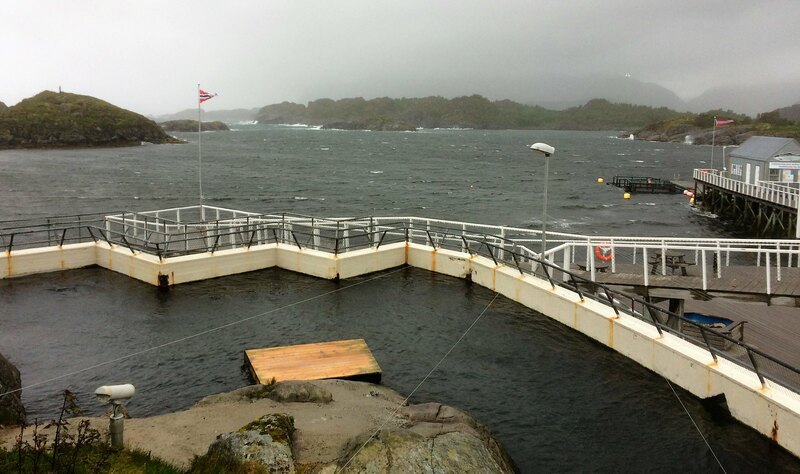 But look how windy it was and which huge waves were pressed through the Raftsund. 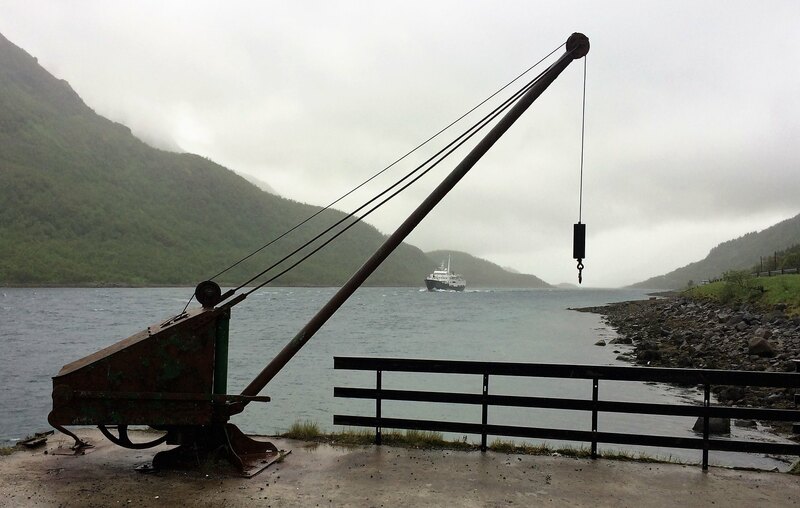 It was the next day, when the ships left out the ports of Stamsund and Svolvaer due to the weather conditions and the Gimsöystraumen bridge had been closed several times due to the wind. We took the same campside like yesterday and parked our campervan in the windshelter of a bigger hytter. So we had delicious dinner and a cozy night. 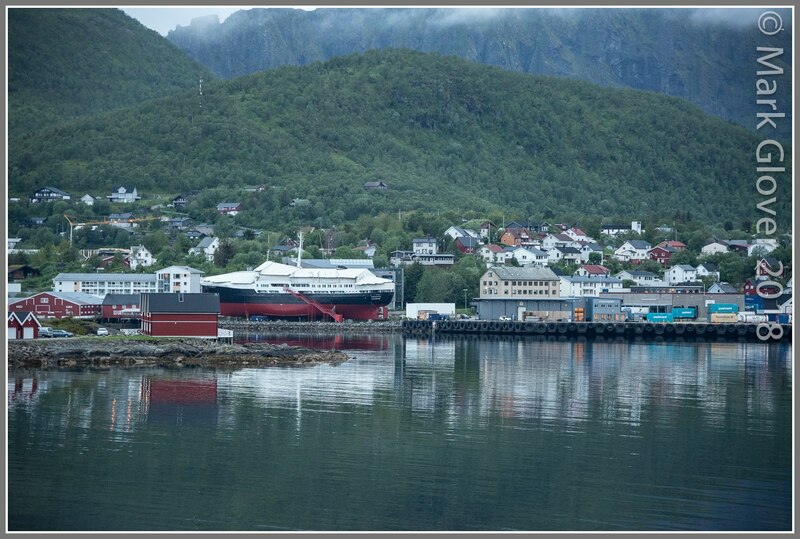 During the last days i had a stressing conversation with Hurtigruten. As i booked the trip, a notice stated they will not allow camping mobiles and mini vans aboard. I called there and ask for the exact definition, since a mini van in Germany is also a Citroen Berlingo or similar. But they told me, that this means huge mobile homes and small coaches. 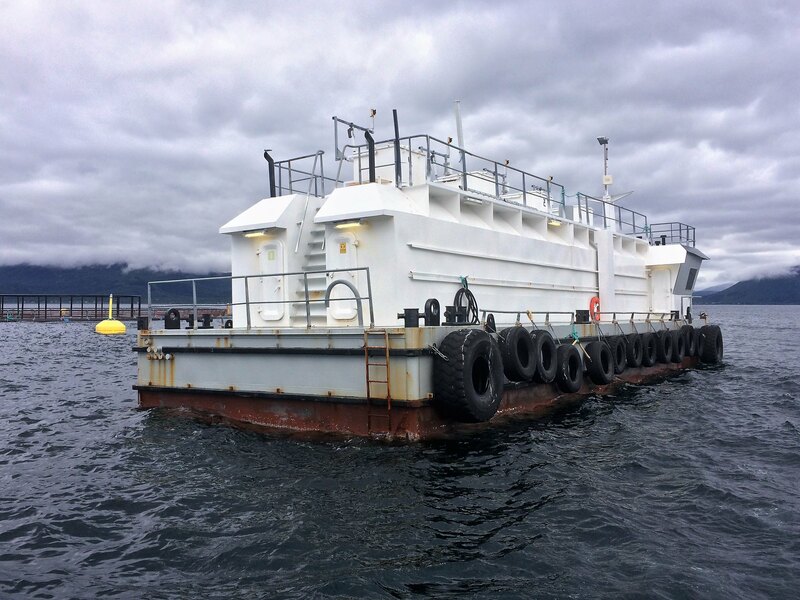 All depends on the outer dimensions, if they will be okay they will take the vehicle aboard. But that changed suddenly during our tour, when i checked the site from time to time for the latest news. A new notice said: Hinweis: Wohnmobile, Minivans, Anhänger und Campingfahrzeuge jeder Art (also auch als PKW zugelasse Autos mit Campingeinrichtung) werden nicht gestattet. This would exclude our campervan, despite it has the dimensions of a normal car! I would like to show you the notice in English, but there the rule is different:The ships can accommodate cars. This means that you can combine a coastal voyage with a road trip by travelling with us. Also, if you want to take a break from driving and are considering booking hotel accommodation, Hurtigruten is an excellent alternative. Please refer to the relevant ship pages for maximum vehicle dimensions. And also our French fellowes have their own car-rules: Tous les navires de l'Express Côtier de Norvège sont habilités à transporter des véhicules (voitures, motocyclette ou mini-van) lors de la navigation​​​​​​​. Les camping-car, fourgonnettes et caravanes ne sont pas acceptés à bord. It's a strange story Ralf. 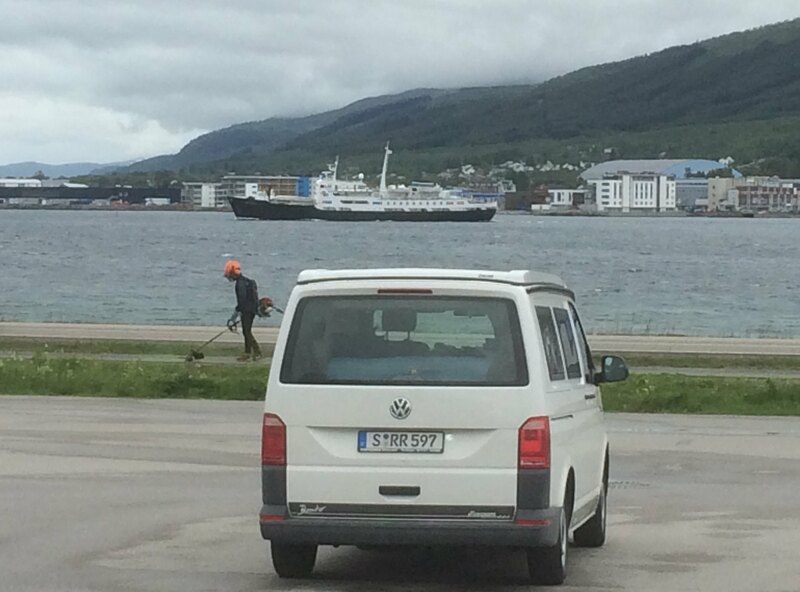 When I was onboard last February, when we were calling, I saw a van looking like yours (a WW one ) parked near the quay. So, since you asked me to get infos, I asked to a member of the garage staff if this kind of van was allowed onboard.He told me there was absolutely no problem except to find a place in high season. I think I mentioned that to you in a PM but looking at my posts I can't find it. Fortunately you could embark at the end. By the way, I stay tuned for the continuation of your great report. An absolutely awesome trip you had this time. The first image in post 38 is picture perfect. Such an interesting place that it would be nice to explore more by foot - in summer off course. 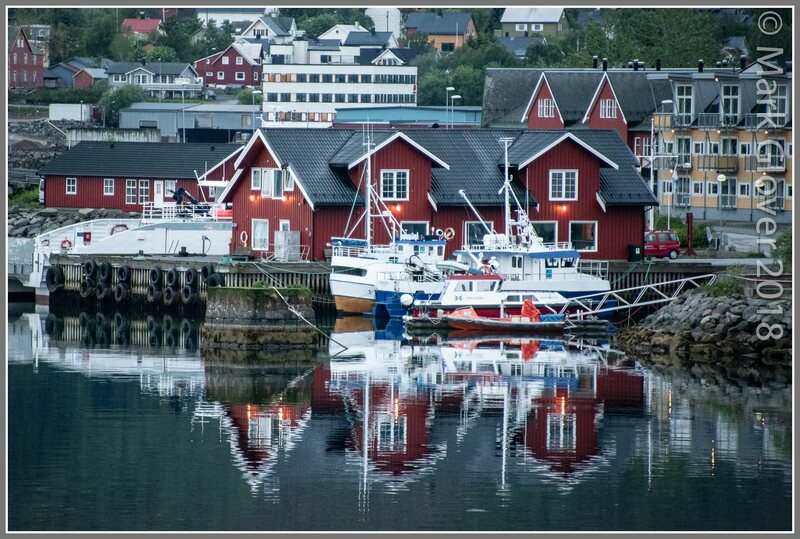 Wonderful image of the Lofoten in Raftsundet! 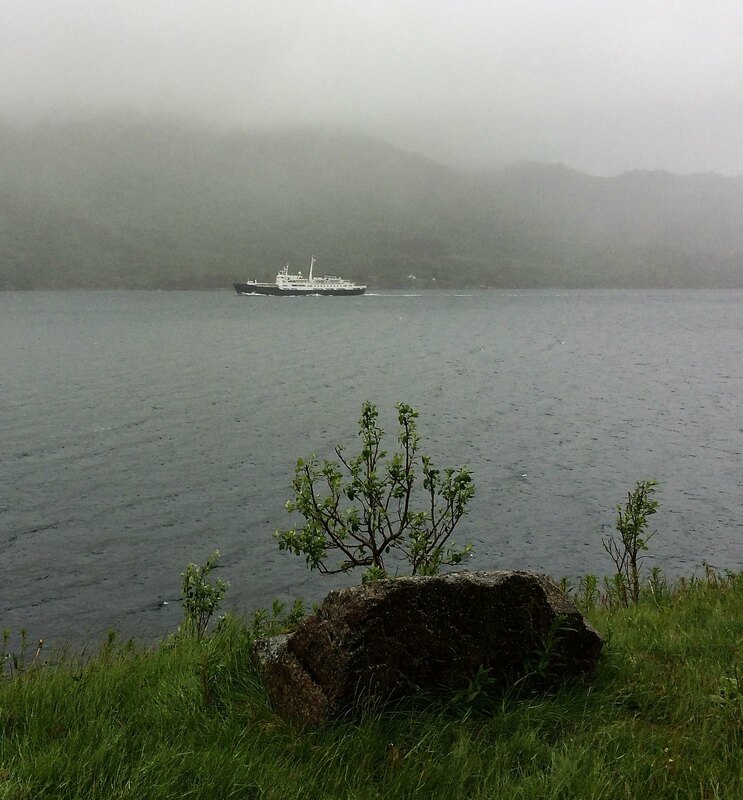 I love the foggy pictures of my favourite ship in Rafsundet. Thank you all for your nice comments. I am glad to see that so many are following with interest. 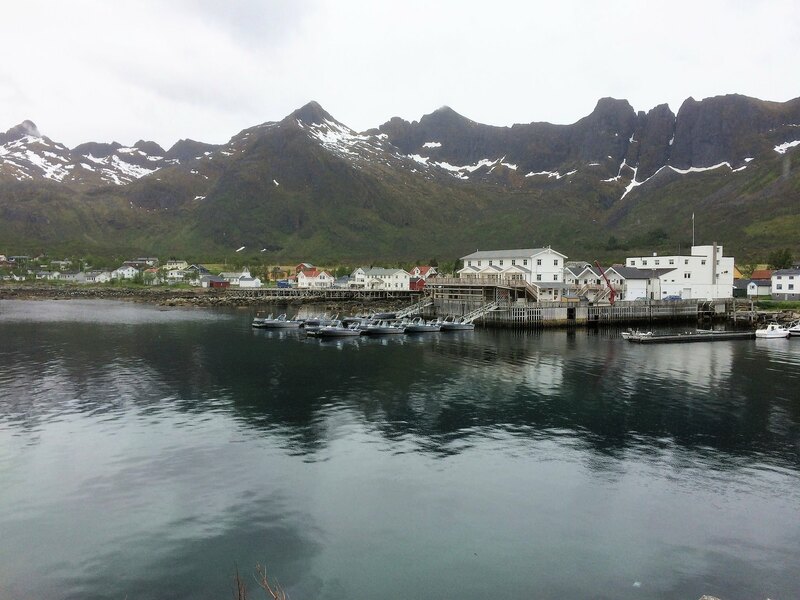 Since we had some trouble with not transferred pictures of some certain days, i searched and got some more, so here are first some bonus pictures of the Lofoten - Lofoten - foto - safari. 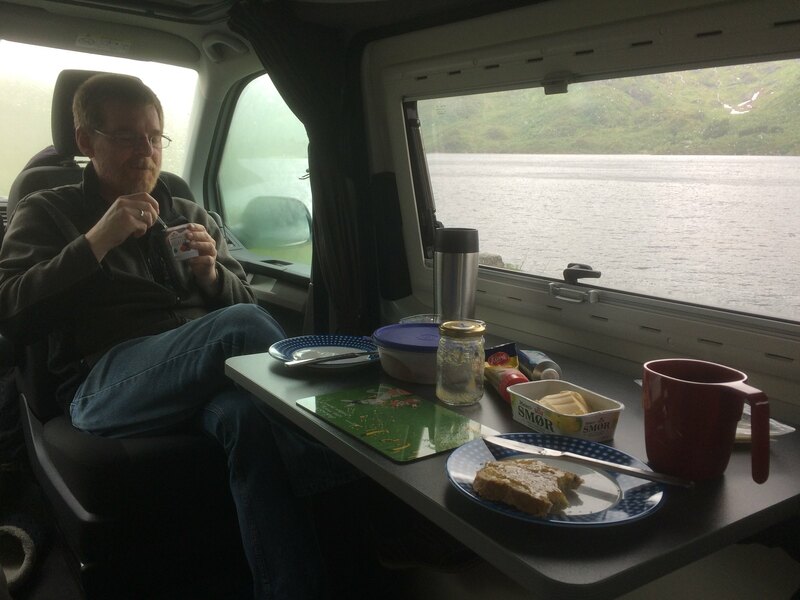 First our van on the spotter - supermarket face to face to Sortland. And here our beloved ship again. Look how the strong wind is straining the water. Will they have a look in the Trollfjord in this weather??? No!! 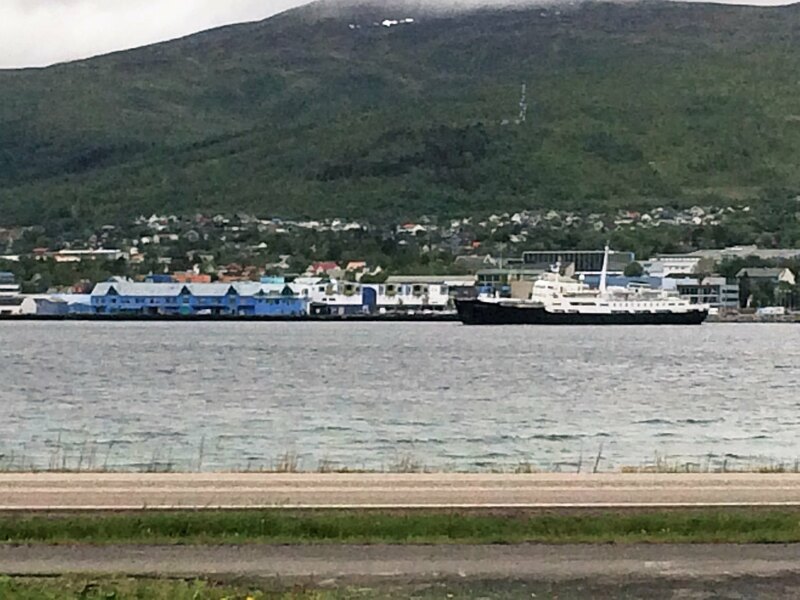 They are heading directly to Svolvaer. 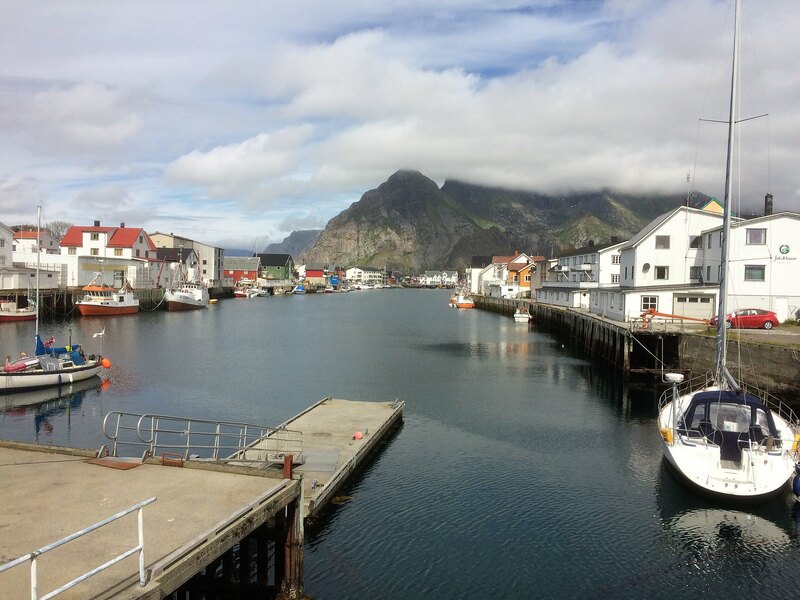 Our first visit was at Svolvaer, here we wanted to visit the shopping mall. The rest of the town is well known to us from our former Hurtigruten trips, so we did not want to repeat that, especially in bad weather. The shopping mall was disappointing, since there were not the offers we expected or hoped for. Why shall i buy here something, when there are the same shops like at home? We were looking for some typical Norwegian products, but this has become very difficult in our globalized world. So no pictures and since it continued to rain, what do you do on a rainy day: You will go to a museum! And so we did. 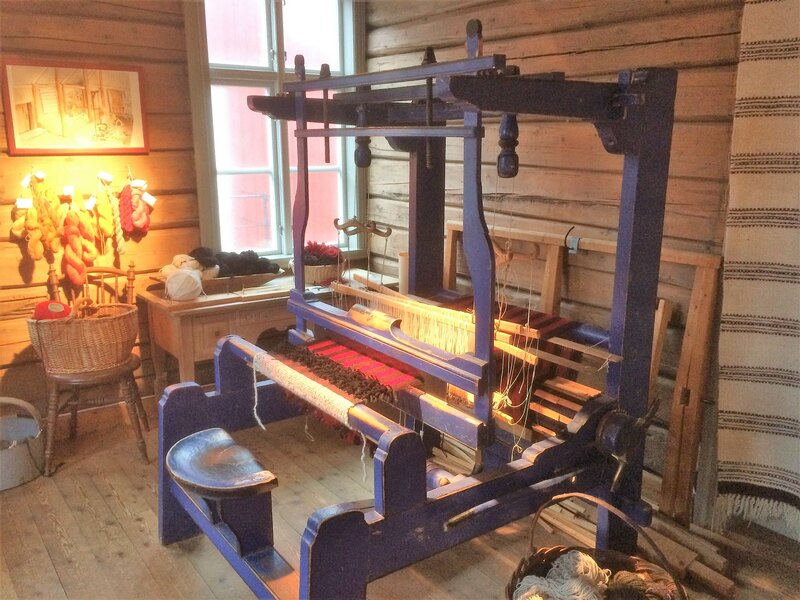 We went to the Lofotmuseet / Kystverkmusea. We started in a barn, where was a collection of various one cylinder diesel engines, most of them out of old fishermen boats. Why do women not have the patience there to listen to the different sounds? Pock - Pock - Pock, doufdoufdouf, ump ump ump - that is marvellous. Invest in a cup of coffee for your wife and take your time - but they should improve the sound system. You should at least reach the original volume! Much nicer of course were the rooms inside. I will show just one example. They are showing also the traditional handicrafts. A guide, where to buy such products, would also be helpful. See the lack of such products in the AMFI malls. 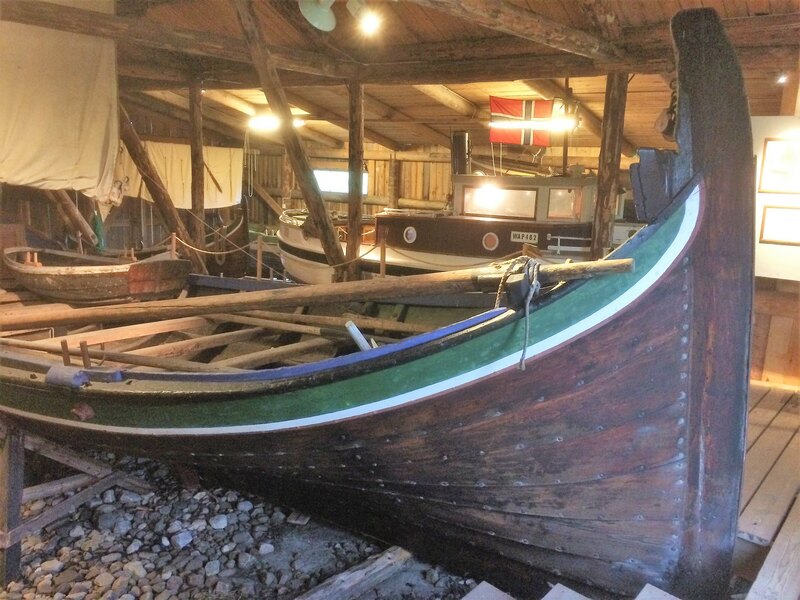 Now back to the toys of the boys, various boats in the boathouse. A view back to the main building. And to some rorbuer, the traditional cottages of the Lofot - fishermen. And this is the look inside. 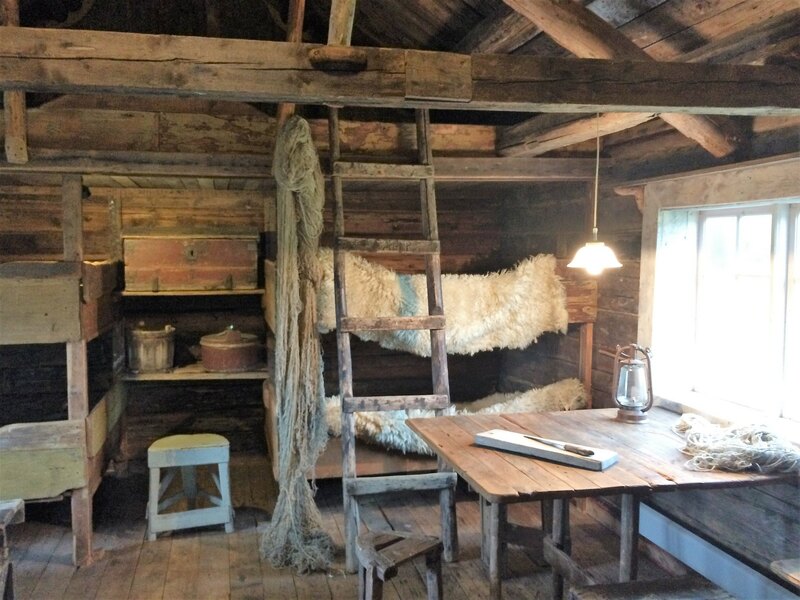 About 8 men lived here during the fishing season, when the weather we had today, is a good day. Hard life. It is a multivisual museum, they show interesting movies, there is a lot to learn especially for pupils and you see, what is living in the sea around. Outside there are some otters and seals, but now it was getting so windy, that it was difficult to stand outside. Maybe you can imagine it on this picture, just look at the flags and the waves. So we had no chance to see sunbathing seals or otters today, so we walked over to the Galleri Espolin. You will buy a combi ticker, so all is included. Kaare Espolin Johnson was a famous painter and he specialised on the fishermens life in former days. But his style is like the weather was this day: dark, threatening, pessimistic and sad. But he himself seemed to be a much more friendly man, or what do you think. 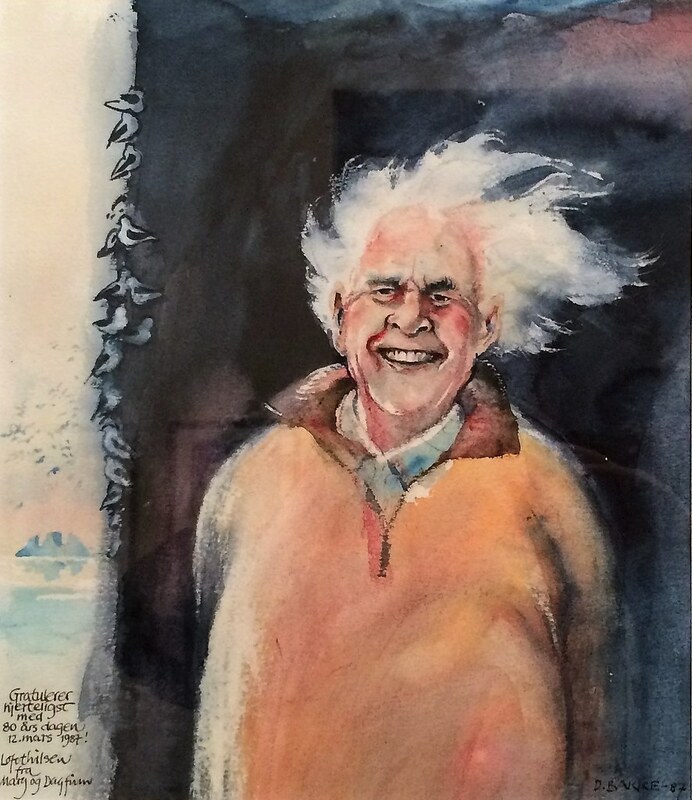 Portrait made by friends for his 80th birthday. Dagfinn in the signature of the painting is Dagfinn Bakke isn't it? The guy that drew the brilliant cartoons that are all over Finnmarken?